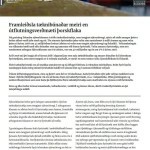 Eitt verkefna Íslenska sjávarklasans er alþjóðlegt rannsóknarverkefni sem hefur það að markmiði að auka nýtingu sjávarfangs á Norður-Atlantshafi og auka um leið virðisauka í framleiðslu. Meginatriði í slíkri umræðu eru aukaaurðir. Aukaafurðir er hugtak yfir þá hluta fisksins sem hafa að mestu verið ónýttir í hefðbundinni framleiðslu svo sem haus, slóg, roð og bein. 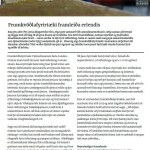 Mikil gróska og nýsköpun hefur átt sér stað síðastliðinn áratug í vinnslu þessara afurða, sérstaklega á Íslandi. 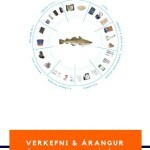 Til þess að bæta nýtingu sjávarafurða stefnir Sjávarklasinn fyrst að því að rannsaka nýtingu sjávarafla í þeim löndum sem stunda fiskveiðar við Norður-Atlantshaf. 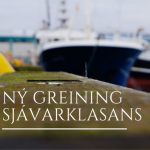 Jafnframt mun Sjávarklasinn stuðla að bættu samstarfi milli þessara landa með því að tengja saman aðila með sameiginlega hagsmuni og vekja athygli á málefninu. Þannig er stuðlað að því að tækniþekking og kunnátta berist á milli landa. Því er lykilatriði að verkefnið sé unnið í samstarfi við trausta aðila í sem flestum löndum. Nú þegar hafa aðilar hérlendis, í Grænlandi og Kanada hafið þáttöku í verkefninu en gert er ráð fyrir að fleiri aðilar bætist við eftir því sem verkefnið stækkar. 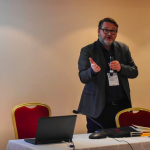 Nánari upplýsingar um verkefnið veitir Haukur Már Gestsson (haukur@sjavarklasinn.is). 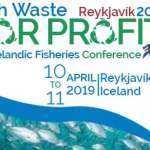 One of Iceland Ocean Cluster’s projects is an international action research program with the objective of increasing utilization of fish in the North Atlantic Ocean. A key to this topic are by-products, parts of the fish not typically considered for production purposes. Utilization of by-products has been increasing through opportunity identification and innovation during the last decade but further research in the area is vital. 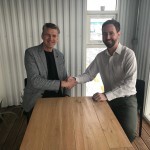 In order to reach this goal, the Iceland Ocean Cluster will conduct research on fish utilization in the North Atlantic and develop cooperation between parties in the countries fishing in the area. 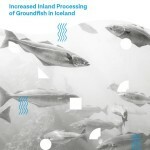 By doing so, different techniques and knowledge on the subject are spread around the area, further increasing fish utilization. Institutions and firms from Canada, Greenland and Iceland are already engaged in this project but further collaboration is essential. We believe the commercial value in exploring the topic is immense for all countries involved. For further information contact Haukur Már Gestsson (haukur@sjavarklasinn.is).